On a whim, Jim and I went on an adventure. It was unplanned, spur of the moment, and life changing. 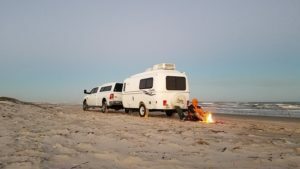 Numerous events culminated perfectly to allow this adventure to be a possibility–some were awesome surprises and some initially appeared to be huge letdowns. 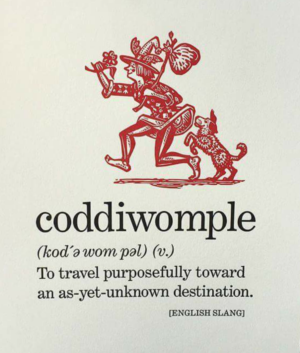 We lived the definition of “coddiwomple” in our camper for 26 days. Below is a collection of a few of the experiences, insights and life-changing thoughts that showed up along the journey. For each idea, there is an explanation, an invitation to apply the thought, and inquiries to bring about your own awareness. Enjoy! Do it! Whatever “it” is, give it a shot. This amazing adventure was an “it” for me. Sure, there were countless thoughts centered around why we shouldn’t go or why it would be better if we waited. The timing isn’t perfect. We’ve got other things we need to do. It’s going to cost too much. We don’t have a plan, etc. We went, the experience was more amazing than we could have imagined, and it all worked out better than we could have planned. In life, career, business, retirement, or anything else: Grab the chance and go. Thought: Hopes and dreams are much easier to achieve than most think; it’s all the thinking that gets in the way. Grab the chance and go! Experience: If you wait, chances are it may not get any easier, something else will get in the way, and you will wonder why you waited. Whatever “it” is, give it a shot. What is an “it” for you? What if you went for “it” by pointing yourself in a direction, taking the first step, and figuring it out from there? Take in the beauty ALL around! What would happen if you purposefully took the time to appreciate the beauty all around you? During the big adventure, I settled down, opened my awareness, and was able to take in splendor that I normally would have missed. 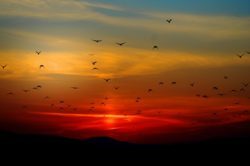 For example: In the stillness of a canyon, just before sunset, I heard birds fly. It was amazing. Flocks of birds one after the other flew by; I heard the air rhythmically rush around their wings and their tiny bodies. It was so beautiful and piercing; I wanted to stay and listen for hours in this “special spot,” where flight was music to my ears. Ever since that experience, I notice that I can hear birds fly everywhere. I didn’t noticed it before but, now I am aware. Thought: You can experience beauty and brilliance everywhere. Experience: No matter where you may be, there is magnificence everywhere, all the time. The more you look for it, the more there will be. What are you noticing? Be present, feel connected, and come alive. 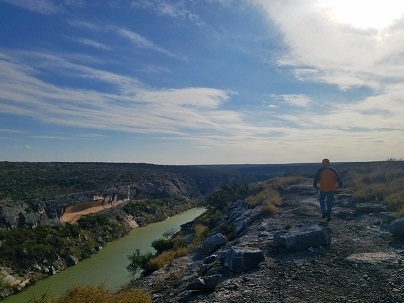 One of my most profound moments came on a guided hike in Seminole Canyon State Park, in South Texas. 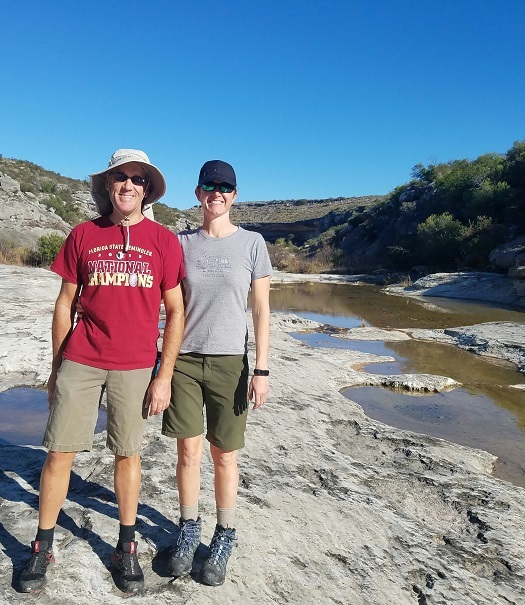 We hiked up the canyon from the riverbed, into a huge cave in the canyon wall; it had been carved away by the rushing river over thousands of years. This cave had been the home to a tribe of Native Americans. There was ancient wall art, carvings, and artifacts (in addition to stunning views of the river below). Inside the cave was a massive shiny rock that literally shook me. The rock was waist/chest high and so wide I could only reach halfway across it. The top surface was smooth like glass and had a slick, oily feel. It was smooth and oily because it had been doused with animal fat for hundreds of years. It was used as a cutting board and place of ceremony by Native Americans thousands of years ago. Since then, hikers have continued to touch the silky rock and the oils from our hands keeps it shiny. I placed my hands on that rock and thought about all the people that stood right where I was. Standing and touching that rock, right where I was touching it; going back thousands of years, before there was electricity, buildings, or recorded history! While feeling the silky solidness of that rock and imagining all the people that had done the same, something inside lit up. It was energy of unity. I felt extraordinarily connected with all the people that were there before me. The feeling was amazing and something I will never forget. Thought: Being present and connected is a gift you can give yourself anytime. Experience: I am realizing more and more, no rock is needed to feel that alive and united… I just smiled typing that 🙂 How might you feel more connected? No master plan- No problem! Just a month prior to our amazing expedition, the thought of taking the trip had not even surfaced yet. We decided to go the week before we left. 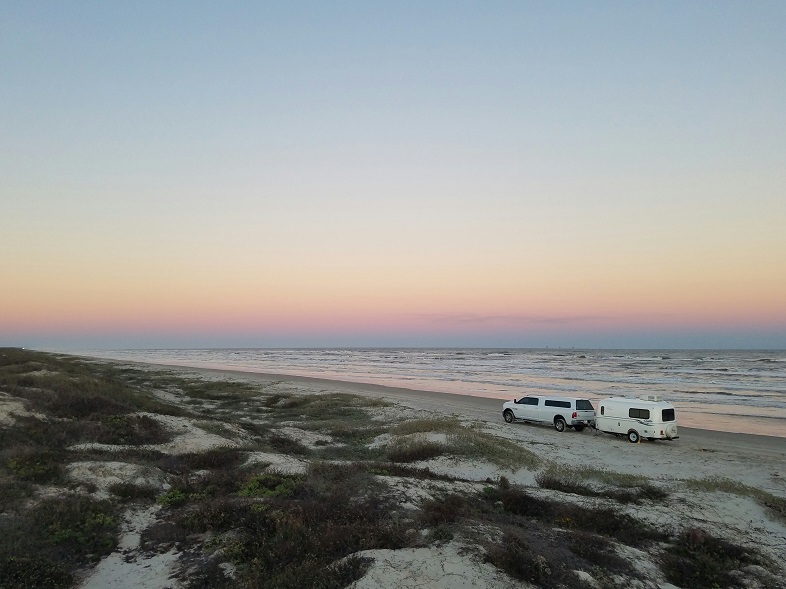 When we pulled into a location to set up camp, we never knew where we would go next. Overall, we knew the general direction we wanted to head, but kept our options open. We usually planned our next location during down time of the day before. Thought: Keeping things relaxed and flexible opens up opportunities. Experience: Apply this idea to the adventure of life. How about pointing yourself in a direction and going with the flow? What if you grab the chance, make a move, have some fun and then say “What is next?” In what areas of your life might you benefit from applying a similar idea? Listen to your heart and choose to lead. We went for a hike at McKinny Falls State Park but couldn’t find the trail. We searched up and down the river before I realized the trail continued ACROSS the river. How the heck do we get over there? The river was wide and deep. 40-50 people were enjoying their day on our side of the river and not a soul could be seen on the other side. We checked the map- no roads drive to the other side and no walking bridge either. Heavy rainfall had engorged the river and covered the trail crossing. So, I decided we should ford the rushing water and regain our hike on the other side! The best place to do it was just upstream of the waterfall which was also where one slip would send us over the 20 foot drop. “Let’s do it!” I said. The water was freezing! We went for it and made it. Crossing the river was fun and allowed us to enjoy an entire network of trails on the other side. After we made it across, many others followed. Thought: Sometimes hanging with the status quo might have you missing out on the best part of your hike. Take the chance and enjoy the experience! Experience: When you choose the path less traveled, the possibilities are endless and others may be inspired to do the same! Where do you do this currently? How might you expand that? Most North Americans live in a perpetual state of too much stuff. I thought I packed very minimally, but I only wore about a third of the clothes I brought. We didn’t touch many of the tools, toys, and other extras either. Sure, there were times when we wish we would have brought a certain item, but we made do just fine without it. Thought: Simplicity brings ease and breeds creativity. Experience: Imagine the difference in your home, office, camper, etc., if you had all you needed and nothing more. Think of a simple way to start. What comes to mind? Consider taking one (or more) of these ideas and putting it into practice this week. Notice your thoughts, how you feel, and any changes that transpire. Grab the chance and go! Listen to your heart and choose to lead! What are your thoughts and experiences? What was your last adventure and what made it special? Share in the comments below! Enjoy your adventure and thanks for sharing your experience, Heidi! I hope our paths cross while adventuring sometime soon!